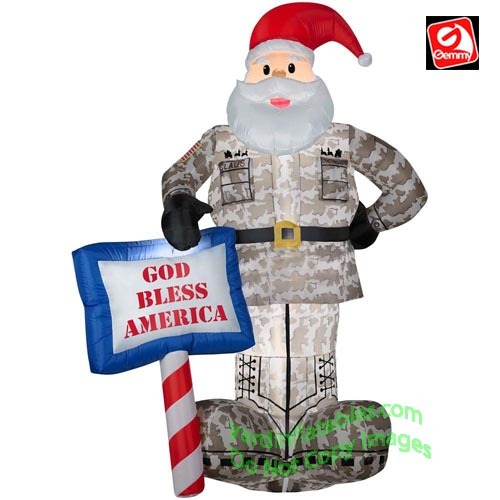 Military Santa Holding "GOD BLESS AMERICA" Sign! Santa Is Part Of The "Christmas Forces" As You Can See On His Uniform! This Patriotic Santa is the prefect way to welcome home our troops for the holidays!